2. To share or understand the feelings or ideas of another: sympathized with the goals of the committee. 3. To be in accord; correspond. What did our Führer Adolf Hitler think about non-Aryans aiding the National-Socialist cause? Wait, you didn’t really believe that Hitler was a “mindless hater” who despised everyone who wasn’t pure German right? The American Nazi Party gets regular e-mails from non-whites who sympathize with our struggle, and who have been just as exploited and mistreated by this Judeo-Capitalist system as the White Working-Class. National-Socialism believes that each race should be empowered to govern themselves, in their own nation as they see fit without any outside power interfering. The infinite greed of this corrupt government seeks to push us ALL into poverty and financial slavery; they are a threat to the livelihood of all peoples. The American Nazi Party has now decided to offer a means for non-whites to aid in our struggle. If you are interested, please fill out the form below. In return for a minimum monthly donation of $10, you will receive a one-year (12 issues) subscription to our hard-copy print publication, The White Worker. As a “sympathizer,” you would not be eligible to attend our meetings, conference calls, or other inner-party events, but in addition to financial support, there are many other ways you can assist our efforts. Please make out all money orders to “ANP” ONLY. Thank you very much. 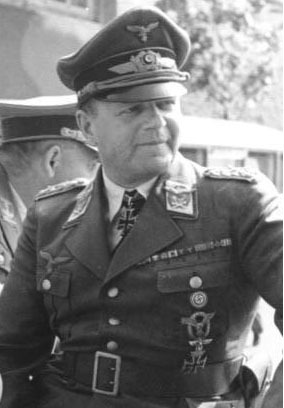 The highest ranking half-Jew in the German military: Field Marshall Edhard Milch, who commanded Luftflotte 5, Jewish father, Aryan mother. Field Marshall Milch was personally reclassified as Aryan by Adolf Hitler himself. 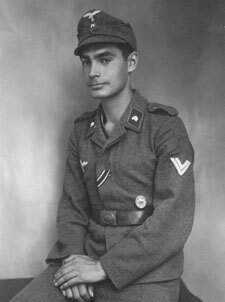 Half-Jew Horst Geitner was awarded both the Iron Cross Second Class and the Silver Wound Badge. There are many more such examples of non-Whites serving in National-Socialist Germany, and it is also often forgotten that Hitler’s greatest ally in the war was a non-Aryan nation: Japan. It is mutually beneficial for both Aryan and non-Aryan alike to put an end to interest-slavery, exploitation, imperialism, corruption, excessive greed, as well as ensure that racial uniqueness is preserved which is only attainable through geographic separation. Arabs and Black Nazi troops were prevalent in the Eastern Front in 1942-1944, and according to historians they were treated better and respected more than black troops in the U.S. army who could not eat in the same tables as whites or sleep in the same tents, black soldiers in the German Army were treated humanely and had all the rights given to white German soldiers.